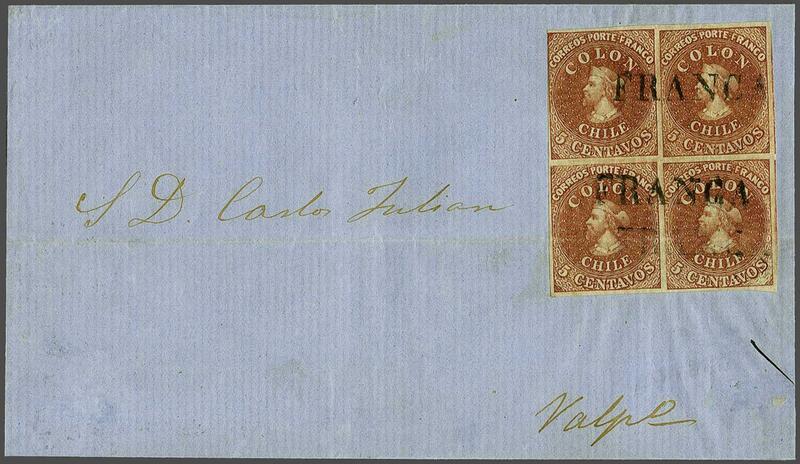 Recess by Narciso Desmadryl from Perkins Bacon Plates 1855 (Feb): 5 c. reddish brown, the remarkable block of four of vibrant rich colour, with ample to large margins all round and portions of two adjoining stamps at right, used on cover from Chillan to Valparaiso (internally dated April 14, 1857), cancelled by three strikes of the straight line FRANCA handstamp in black. Lower pair crossed by file fold not greatly detracting from appearance but an extremely rare and attractive cover for the connosiseur. Certs. 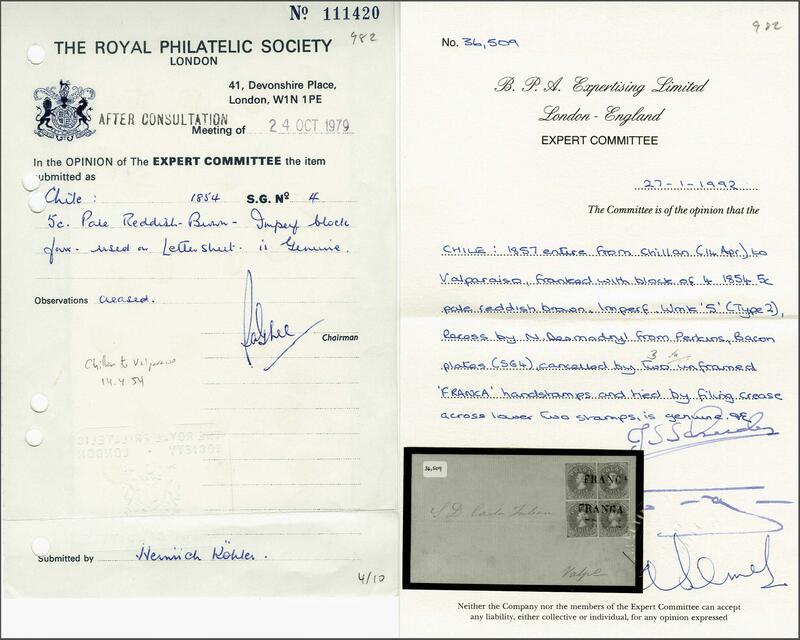 RPSL (1979), BPA (1992).rnrnProvenance: Collection Joaquin Galvez, Corinphila, sale 62, May 1979, lot 3171; Collection Gerhard Blank, RL, Dec 1991, lot 982.